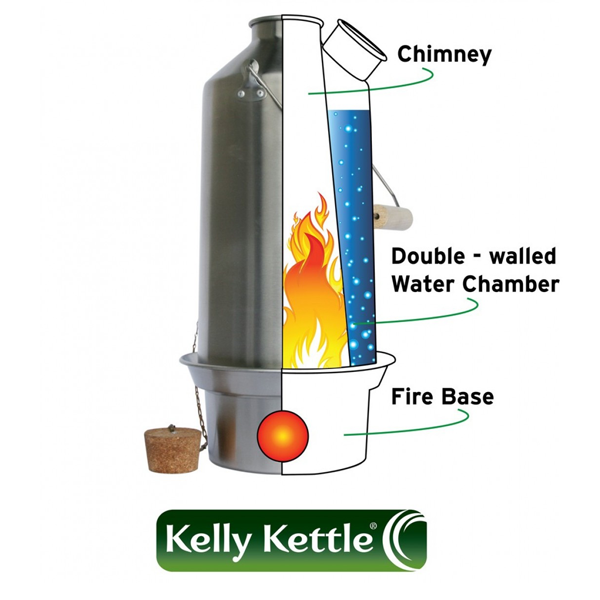 The Kelly Kettle is an ultra-fast camping kettle that can boil water and act as a stove simultaneously. Stainless steel construction. 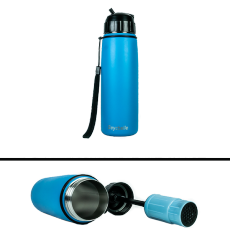 This durable, yet lightweight double-walled chimney kettle allows you to boil water quickly and easily, even in extreme weather conditions. It boils 54 fluid oz in 3-5 minutes using natural fuels such as twigs and pine cones. DO NOT boil water in the kettle with the plug inserted. 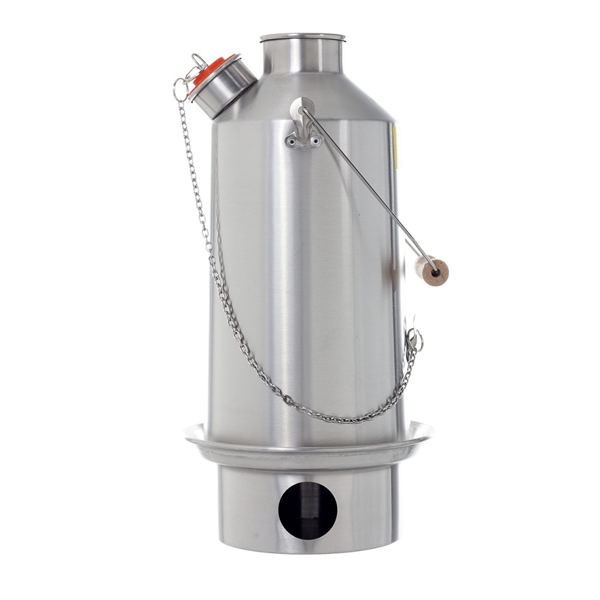 The Kelly Kettle is an ultra-fast camping kettle that can boil water and act as a stove simultaneously. Stainless steel construction. This durable, yet lightweight double-walled chimney kettle allows you to boil water quickly and easily, even in extreme weather conditions. It boils 54 fluid oz in 3-5 minutes using natural fuels such as twigs and pine cones. DO NOT boil water in the kettle with the plug inserted.